Therefore, having put away falsehood, let each one of you speak the truth with his neighbor, for we are members one of another. 26 Be angry and do not sin; do not let the sun go down on your anger, 27 and give no opportunity to the devil. 28 Let the thief no longer steal, but rather let him labor, doing honest work with his own hands, so that he may have something to share with anyone in need. 29 Let no corrupting talk come out of your mouths, but only such as is good for building up, as fits the occasion, that it may give grace to those who hear. 30 And do not grieve the Holy Spirit of God, by whom you were sealed for the day of redemption.31 Let all bitterness and wrath and anger and clamor and slander be put away from you, along with all malice. 32 Be kind to one another, tenderhearted, forgiving one another, as God in Christ forgave you. 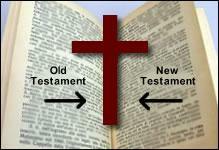 People can mistakenly think that the God of the Old Testament is different from the God of the New Testament. While they may see the Old Testament God as one who is all about rules and is like an angry and disappointed dad who is grumpy, they may see the New Testament God as one who gives grace and is always forgiving and loving. Yet this could not be further from the truth. In fact, a heretic named Marcion actually espoused this idea that the Old Testament God was different from the New Testament God, and he didn’t see the Old Testament Scripture as authoritative for Christians—this was ultimately deemed heretical. The truth is, the God of the Old Testament is the exact same God as the God of the New Testament—Jesus was the visible manifestation of the invisible God, and He came to make God known to us. In reading these instructions and commands to the church from today’s passage, I was reminded of Exodus 20 – the Ten Commandments. Both texts give us commands of how to live life before a Holy God. It’s also worth noting that both are prefaced with our relationship with God (see yesterday’s devotional). In Exodus 20, God starts out the Ten Commandments with one simple phrase: “I am the Lord YOUR GOD, who brought you out of Egypt, out of the land of slavery.” We have to understand that the context of these commands is not simply that we should obey because of God’s power, but it is also in the context of love. God is relating to His people and saying I am going to be your God; I belong to you as you belong to me. In the same way, in the New Testament, Paul first reminds people that transformation always starts with the understanding of our new relationship with Him—and then he tells us that we are to shed off our old self and put on our new self. We are no longer slaves to sin, but slaves to Jesus Christ. With this new found understanding of the grace we have received, only then do we see the power and ability to transform. Where, ultimately, lies the power of transformation? I believe that it’s not just behavior modification, stronger will, or even greater discipline; it lies in the heart that has understood the unfathomable grace that we have received. If you are currently struggling with transformation in your life, don’t just try harder. Lean back into the grace of God that once stirred your heart, and then press forward into becoming more like Christ! Prayer: Father God, thank You for Your grace that sparks the change in my heart. Thank You that I have a relationship with You, and that You are transforming me as You restore the image of God in my life. May I continue to grow in a deeper understanding of Your grace in my life that propels this wonderful transformation in me. In Jesus’ Name I pray. Amen.